Phthalates are a group of chemicals used to soften and increase the flexibility of plastic and vinyl. They are used in hundreds of cosmetics and personal care products, including perfume, hair spray, soap, shampoo, nail polish, and skin moisturizers. And in consumer products such as flexible plastic and vinyl toys, shower curtains, wallpaper, vinyl miniblinds, food packaging, and plastic wrap. Phthalates, such as DEHP, are chemicals used to make plastic soft, including plastic food wrap. DEHP has been shown to affect male reproductive development, sperm quality, and male hormone levels in laboratory and human studies. Bisphenol A (BPA) is a chemical often used in hard plastic bottles and the epoxy resin lining of food, beverage cans and plastic production for containers like water bottles. It has been associated with effects on the developing brain, and breast and prostate cancer in laboratory studies. 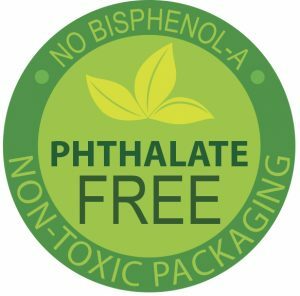 WHAT TO LOOK FOR ON THE LABEL: phthalate, DEP, DBP, DEHP and fragrance. Read the labels on nail products, and choose options that do not contain DBP. Some nail product labels indicate they are “phthalate-free.” Products that list “fragrance” on the label should be avoided to prevent possible exposure to phthalates. At Organic Essence, our level of concern is not only what organic ingredients that you put on your body, but how they are being “delivered”. We go the extra mile with our Packaging for Life to produce products and packaging that achieve the highest level of purity.